Amid a new spate of violence and bloodshed on Thursday, Ukrainian parliament voted to halt counter-terrorism operations in the country and pull back law enforcement from central Kiev. The resolution, though, would not be signed until Friday. In addition, the resolution bans the use of firearms against demonstrators. 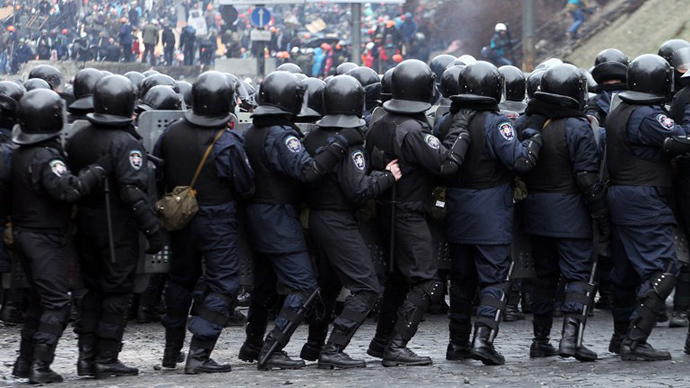 Parliament (Verkhovna Rada) also called for the release of all detained persons and prohibited police forces from blocking roadways, ITAR-TASS reported. Enough representatives attended to allow an emergency session of parliament to be held; at least 226 members must be present in order for such a meeting to take place. Of the 239 representatives in attendance, 236 voted in favor. “The extent to which these resolutions influence the actors in the streets has yet to be seen. Out of a total 442 seats in the Rada, only 30-some members of Yanukovich’s Party of Regions attended. The vice-speaker Ruslan Koshulinsky presided [instead] of the absent Vladimir Rybak, who’s a member of the Party of Regions,” according to the Guardian. Parliament speaker Rybak must sign the resolution for it to go into effect. Yuri Miroshnichenko – Ukrainian President Viktor Yanukovich’s permanent representative in the Rada – said the resolution serves, above all, to end the violence. “The first and foremost task we are facing is to stop the bloodshed. This is why the president held meetings and spent hours consulting with our colleagues from the European Union. This is why he invited opposition leaders to a meeting,” he said. The agreement, Miroshnichenko said, will have to work as a deterrent from more immediate bloodshed in lieu of long-term discussions. “We need to adopt a consolidated decision that will be voted for by the whole parliament. If only a part of MPs vote for it, this will bring no peace and calm. This is why it is fundamentally important to work out a common position and state an action plan, which each side - demonstrators and the authorities - will comply with strictly. 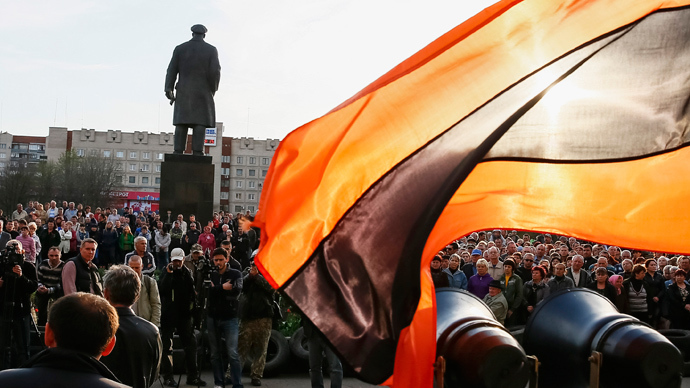 This is what the president is talking about,” Miroshnichenko said. “Although emotions fly high, we have no other way but to adopt legitimate decisions. And these decisions are being adopted,” he added. MP Sergey Soboloev from the opposition Batkivshchyna party told ICTV channel that the document specifies which law enforcement units must abide by parliament’s decision, stressing that non-fulfillment would violate the constitution. 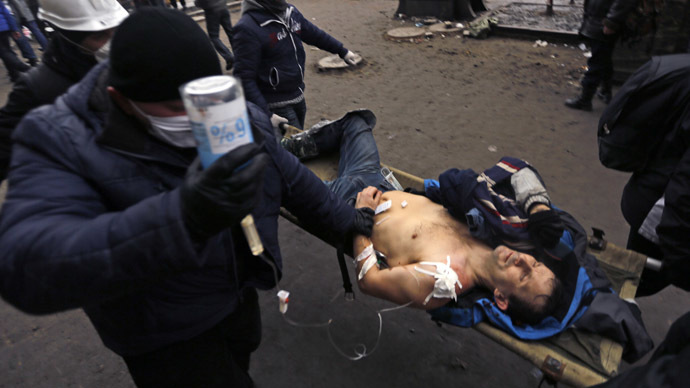 At least 77 people were killed since Tuesday amid violent riots in Kiev, the Ukrainian Health Department has stated. 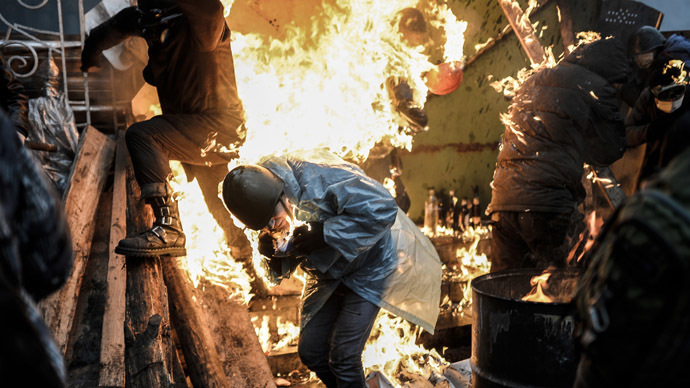 Doctors working on Kiev’s Independence Square, however, claimed that as many as 70 people were killed on the protesters’ side alone on Thursday. The death toll will likely rise on both sides, as there are conflicting figures coming from the Health Department, city officials and the opposition. As many as 570 people have been injured, according to official estimates. The surge in the number of victims comes as both armed dissenters and the police are now using live ammunition in clashes. Many of the protesters and police officers killed or injured since Tuesday sustained gunshot wounds. Police have officially been allowed to use firearms in accordance with the law by an order of the Ukrainian Interior Minister. Violence escalated on Tuesday after a group of radicals taking part in a “peaceful march” of the opposition attempted to storm the parliament building. They were repelled by police cordons. 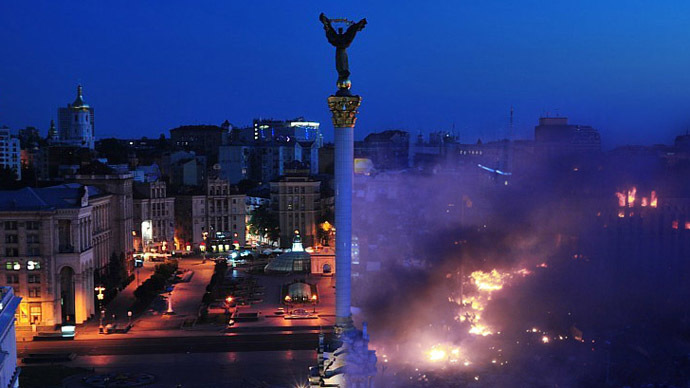 Marchers then rushed and looted the nearby unprotected office of the ruling Party of Regions, also setting it on fire. One office worker was later found dead in the devastated building, with reports saying he died from smoke inhalation. The opposition moves came despite the agreement on amnesty finally reached between the government and the opposition earlier this week.